Today, we take a look at the new album from Gold City; Hope For The Journey. Hope For The Journey is the first album of new music from the quartet since 2011 (Somebody’s Coming), even though their recent Treasures Of Gold recording did have three new songs. Gold City stays true to their progressive Southern Gospel quartet sound, adding some ‘hard-driving’ country sounds. The 2018 edition of Gold City is composed of Thomas Nalley (tenor), Scott Brand (lead), Daniel Riley (baritone) and Chris West (bass). Good to see Daniel Riley carrying on the nearly 40 year career of Gold City. Such a shame there was such a huge gap between albums of new music. Daniel gets several features on the stand out ballads found on Hope For The Journey. The strongest is the Lee Black/Dianne Wilkinson penned, “Jesus Frees The Fallen”. This could easily find a home at Southern Gospel radio. Speaking of radio singles, the first is the blues-infused, “All My Hope”. Chris and Daniel trade verses on this potential top ten hit. Daniel can also step up and totally own a faster tempo song like “I Will Not Be Shaken”. This song was also recorded recently by new artist, Westward Road. It’s good to see Gold City go into the Southern Gospel vault and pull out a song from 1970 by the Florida Boys, “A Bible Loving Man”. Bass legend Billy Todd was on the original recording. Chris West turned in a nice rendition of a song that should be fun on the concert stage. The quartet also shows some a cappella prowess on the album’s closing song, “Resting Place”. A strong close to the recording. A definition of Gold City’s sound over the past decade can be summed up in the album’s opening track, “I Can Tell You Why”. A ‘hard-driving’ song that features Scott Brand and has some strong tenor moments from Thomas Nalley. Strongest songs included in order: “Jesus Frees The Fallen”, “All My Hope”, “Resting Place”, “I Will Not Be Shaken”, “Those Same Hands”, “A Bible Loving Man” and “Same God”. The only song that felt out-of-place on Hope For The Journey is the ’50s pop sound of “Someday”. The Ball Brothers recorded the song on their 2014 album Pursuit and subsequently own this song in terms of performance. I would’ve traded out “Someday” to get another feature from bass vocalist, Chris West. Weakest songs included in order: “Someday”. It is such a shame that listeners have to wait so long in between albums of new music from Gold City. 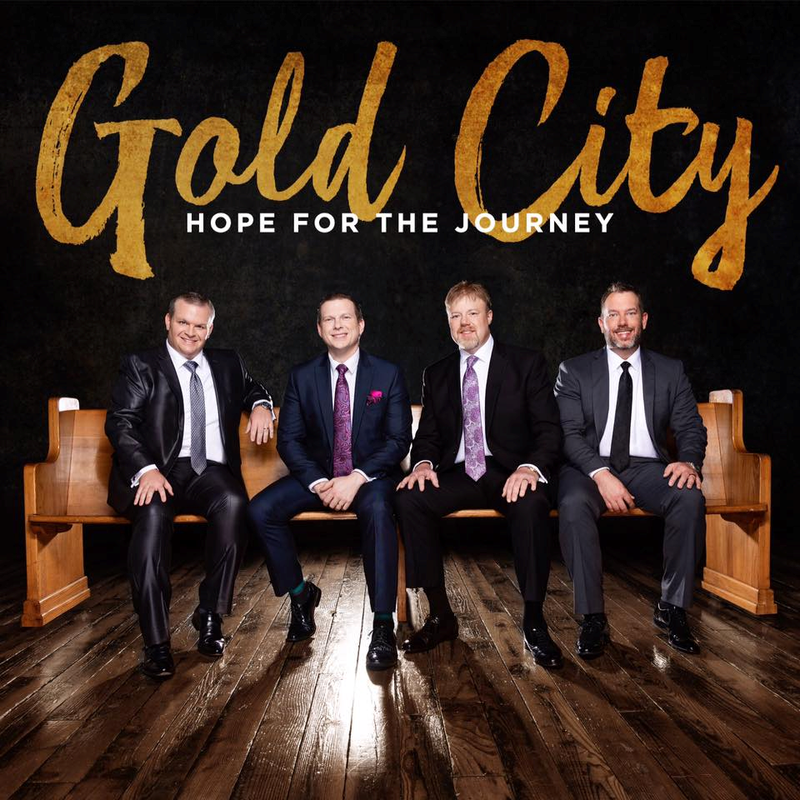 Because, when you hear an album like Hope For The Journey, you remember why Gold City was regarded as one of Southern Gospel’s best quartets. Interesting that both you and Kyle Boreing seem more or less favourable about this one. I enjoyed the album well enough but have no compelling reason to listen to it again. I would have graded it B- myself. It’s not the Gold City I used to enjoy but here’s hoping they can return to some level of greatness again. Putting out new music more frequently than every seven years will be a start.